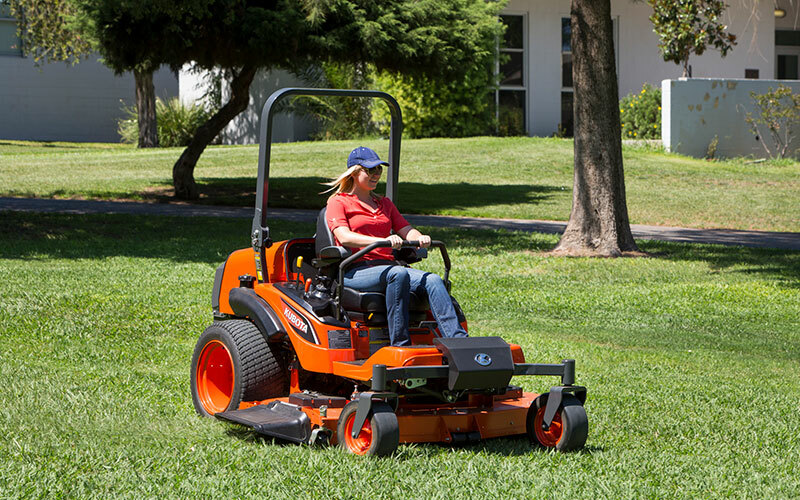 Before using a lawn mower, we always read the manufacturer’s instructions and check its fuel requirements. The fuel requirements of a lawn mower usually depend on the type of engine and the type of lawn mower in question, but how many among us know that? Many people make the mistake of thinking that they know their lawn mowers well, but very often you will see people destroying their lawn mowers using the wrong fuel or wrong fuel combinations because they don’t know what kind of oil for lawn mower to use. Another problem is the ill-maintenance of engines and carburetors. Lack of maintenance and use of inappropriate fuel can lead to quick damage and worse, void of warranty. This article provides a detailed guideline on what fuels are suitable for general lawn mowers and how to ensure your lawn mower keeps mowing for a longer period of time. Before heading on to the guideline it is important to know that fuel vapor can be extremely dangerous for health. Fuels are explosive and flammable, so you should handle it with care. Though you won’t have to face these issues if you own a quality electric lawn mower. You should not store your lawn mower for more than 30 days without use if it contains gas. The gas could become stale, which can cause a number of problems. The stale gas can cause damage to the engine and also contaminating deposits in the carburetor. Your warranty will become void if you end up damaging both the engine and carburetor. To avoid stale gas issues, add fuel stabilizers to the fuel. Turn on the lawn mower’s engine and allow the stabilizer to circulate through the carburetor. Now you can store your lawn mower for up to two years, without having to worry about stale fuel! Just in case you do not have fuel stabilizers, you should drain your fuel into a suitable container and run the engine until it runs out of fuel and stops. Fuel should be used within thirty days to ensure your fuel does not go stale. How to Determine What Oil to Use for Your Lawn Mower? Any kind of fuel that you use should be clean, relatively fresh with no traces of lead because lead is highly toxic. The fuel should also have an octane rating of at least 87. For higher altitudes, an octane rating of 85 is approved. Usually, for lawn mowers and other lawn equipment, gasoline combined with 10% ethanol or 10% MTBE is the approved fuel. You should never use fuel that is unapproved or even modify the lawn mower engine to work according to a specific fuel type. Premium oil or gas is quite expensive since it comes with a higher octane rating than regular fuel. It is used to power cars and can also be used to power lawn mowers. Many have shown concerns regarding the use of premium oil for their lawn mowers. Good news is that it does not do any harm or damage to the parts. Just because it has a higher octane rating does not mean your lawn mower performance will increase. Although premium oil has a higher octane rating, it does not mean that your lawn mower will work better; so, it is best to not spend extra cash on premium oil when it comes to deciding what kind of oil for lawn mower to use. Often people use synthetic oils for their lawn mowers. Use of synthetic oils reduce energy consumption and allows the engine to start easily. It is recommended usually for people living at higher altitudes or people who do not have access to petroleum-based oils. There are various kinds of synthetic oils, and the use of these oils depends on the atmospheric temperature. For example, SAE 30 synthetic lawn mower oil is used for temperatures above 40 degrees Fahrenheit, while SAE 5W30 is used when temperatures are lower than that. Most lawn mower oils now contain detergents, which help the oil remain grime and dirt particles-free. Does Your Lawn Mower Have a 4-Stroke Engine or a 2-Stroke Engine? Whether you have an electric mower or a gas mower, if you don’t know this then you should! Both engines work on different fuel combinations. 4-stroke engines use gasoline and oil separately, while 2-stroke engines mix oil and gas. Usually, lawn mowers have 2-stroke engines where the ratio of gas to oil is 50:1. The oil used in this case is a 2-cycle lawn mower engine oil. Ethanol has become a quick alternative to traditional fuel for cars and a favorite among environmentalists. Ethanol is eco-friendly and works just as good as its counterparts, but for a lawn mower, it’s actually not so good. In the United States, most pumps sell gasoline as 90% petrol and 10% ethanol, also called E10. Any higher percentage of ethanol can cause a number of issues, including permanent damage to your lawn mower. Some lawn mower brands have now developed ethanol-free lawn mowers engine oil to avoid ethanol damage. Ethanol can corrode plastic parts and rubber parts. Ethanol can even corrode the best of the best engines over time. It also destroys protective metal varnishes. Some lawn mower brands have developed ethanol-free lawn mowers engine oil that is far better than using E10. Another major problem is that ethanol holds moisture. This is particularly a concern in lawn mowers because lawn mowers are only used every now and then. When lawn mowers are stored for a long time, ethanol can build up enough moisture that can cause the metal parts of the engine to rust. Water and ethanol create a breeding ground for many microbial organisms. This stops the engine from running properly. Ethanol accumulates heat, so burning it increases the temperature of the engine. Extreme heat is always bad for the moving parts of an engine. What to Do If There Is Too Much Oil in Your Lawn Mower? You should remove excess oil or gas in your lawn mower as a part of your lawn maintenance efforts. Too much oil can damage your lawn mower engine or even cause it to fail due to the reduced lubrication within. Lawn mower engine oils should be at an amount of 16 – 20 fluid ounces, but you should still check the model of your lawn mower and see the requirements. How would you know if there is too much oil? There are a few symptoms. If a lawn mower hard starts or if you see white smoke puffing out, it means your lawn mower has too much oil. You could see oil spilling out from the muffler too. In all these cases, it is important to drain out oil as soon as possible. Unscrew the oil fill tube and remove oil from the crankcase. To do that you should tilt the lawn mower to one side. This ensures that the carburetor is pointed upwards so that oil does not come in contact with it or the combustion chamber. Drain the oil to a suitable container. Clean up all oil spills and pour oil back into the lawn mower, but just the right amount. Allow the engine to warm up. This will make the oil runny and speed up the whole process. Unscrew the oil filter. Make sure you have a container ready as this step can cause an oil spill. The container should be small enough to fit under the filter. Apply a bit of motor oil to the outer lip of a new oil filter. This will ensure proper installation. Install the new oil filter. Lawn mower maintenance is crucial if you want a beautiful, green and spotless yard. Although most people are aware of maintaining outdoor equipment, many are unaware of the kind of problems that arise if the wrong fuel is used in the wrong ways. With proper care, your lawn mower can run smoothly for years and you’d have the lawn of your dreams. You wouldn’t have to worry about voiding warranties or damaging engine parts, all thanks to this guide that we’ve provided for you! Happy mowing! 7 DIY Fire Pit Ideas | Build Your Own Fire Pit at Home! © 2019 Copyright Stuffoholics. All Rights Reserved. 8 Neat Ways Of Getting A Crystal Clear Swimming Pool!